Some people own vineyards or wineries because they were born into a winemaking family. Others buy vineyards and start wineries for their love of wine. Still others consider winemaking a profitable venture and pursue winemaking from a business point of view. For us in Meishar Winery, the story is different. Meishar is a small village, about a 30 minute drive from either Tel-Aviv or Jerusalem, 15 minutes away from the Mediterranean coast and only a couple of miles from the small town of Gedera. Meishar is a moshav – a type of settlement where the community owns the land and leases it to families. Polish immigrants, mostly holocaust survivors, started Meishar in 1951. At the time, each family received from the government two cows, a few chickens, a donkey and cart and a simple 230 sq. ft. home to start their new life. In those years, this part of Israel was considered wild and remote; in winter, the dirt roads turned to mud, and in summer, the newly made farmers had to deal with scorching heat, thorns and poisonous snakes. In addition to the cows and chickens, the moshav planted a large, commonly owned, citrus orchard. At the time, citrus growing was the main Israeli export; much of the village soil was medium to heavy – just right for citrus. Three of the 60 family farms of Meishar had very sandy soil – too sandy for citrus. These few families received alternate plots to plant their citrus groves. Nearly forty years later, in 1989, we came to Meishar. By then the country had made much progress, travel was fast and easy, and the number of inhabitants grew to over 7 million. Agriculture was playing a much smaller – an almost negligible part in the national economy, now based on high-tech and other advanced exports. Water was becoming scarcer while wages were growing higher. When we bought the farm in Meishar, the orange groves planted in the early 1950s were still gloriously green as far as the eye could see, but very soon they began to be cut down, until by 2005 they were all gone (today, as recycled water begins to flow in, citrus groves and avocado orchards are beginning to be replanted). 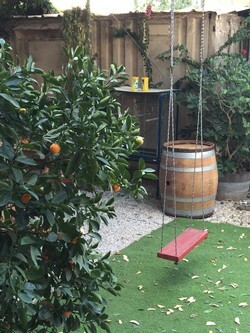 The farm we bought was one of the three farms that were considered too sandy for citrus growing. Looking out from the house we bought and renovated (Mr. Klepeter, the previous owner, an architect from Vienna, enlarged it two times – in 1962 from 230 to 400 sq. 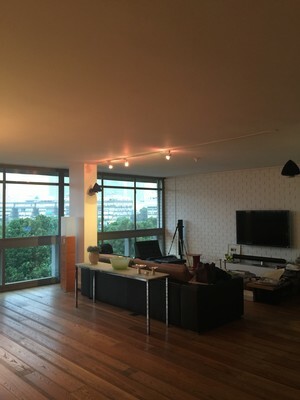 ft, and in 1968 to 2200 sq ft, adding a large living room and a second floor; we kept the outer structure and re-did the interior) – we saw a plot of about 4 acres, that was probably never cultivated: not by the people of Meishar, since it was considered too sandy; certainly not by anyone before them, since there is no water here for intensive agriculture, except for a few months during the winter. 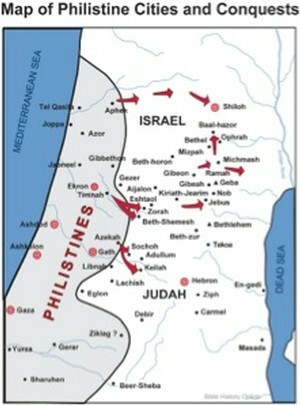 Most probably, these fields were used for grazing by the sheep and goats of the Arabs and Bedouins who lived in nearby villages until 1948; possibly by the crusaders before them; by the Byzantines before them; and without doubt by the Philistines who lived exactly in this area in the famous days of David and Goliath, Samson and Delilah. We stood on our new porch and looked at our new, sandy property and wondered what to do with it. Each of us had a full-time job – my wife a teacher, myself a high-tech engineer. We had two little children. Our hands were full, our bank account empty (after buying the farm and making the house habitable). But the land didn’t let us turn our back on it. As the bible says: “The Lord God took the man and put him in the Garden of Eden, to work it and take care of it” (Genesis 2, 15). So, even though we are not religious in the orthodox sense of the word, we felt, and still feel, compelled to work the land, with our own hands whenever possible, and take good care of it- and certainly not allow it to lay uncultivated, breeding weeds, thorns and snakes. Our new piece of land in 1990, in winter (left) and summer (right). Note the old orange groves on the hill across. There is an additional point. Labor, especially farm labor, and in particular manual labor, plays an important part in my family. My grandfather, Zeev Smilansky, after whom I am named (he died 10 years before I was born), was one of the first Zionists to arrive here, from what is today Ukraine, all of 18 years old, and carrying two books with him – the bible in the proverbial one hand and Tolstoy in the other, determined to create a new, healthy, just and moral Zionist society, a home for Jews who would work the land with their own hands and live by the sweat of their (own) brows. Indeed, he was, by choice, a manual laborer for most of his life, writing learned articles on economy and politics at night, in a tent, with a candle for light, after a hard day of plowing the fields with the mules. He was a member of the Gordonist movement of the “religion of labor”, calling for personal liberation through manual labor. Anyone who is interested can (and should) read about these times in “preliminaries”, the wonderful semi-fictionalized biography of my father and his parents. 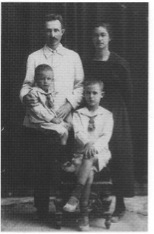 My grandfather Zeev, grandmother Miriam, father Yizhar, aged 3, and his brother Israel, aged 9, in 1919. So this is how we came to plant a vineyard and start a winery: we had about 4 acres of sandy land, unfit for oranges, which were never properly cultivated. And we felt that we had no choice but to plant and cultivate it. We also had a small hobby of making homemade wine. Some research showed that vineyards needed much less water than oranges – about 150 cubic meters per dunam (1000 sq meters) vs. 850 for oranges; That vines are very sturdy; that they are grafted, so you can select the rootstock according to the soil type, and the scion according to the grape type – cabernet, merlot, shiraz etc. Thus, in 1992, we planted the first plot of Cabernet, with “saltcreek” rootstock that is most fit for sandy soils. Our unique sandy soil allows the roots of our vines to be 30 feet deep that most years require no irrigation thus producing small quantities of unique and very special tasting wines. Israeli Wine Direct is our exclusive importer in the United States and is proud to offer you four of our top wines and in conjunction with this blog a 10% discount good through November 10th. The vineyard in February My two sons - Ofer (left) and Shaul (right) in the vineyard. Meishar #41 – 2008 - A blend of Shiraz, Cabernet with some Merlot, this well rounded wine has medium body, with strong aromas of ripe purple fruits and bright flowers with a hint of forest berries. In the mouth the Shiraz is strongly felt with layers upon layers of fruit with a hint of herbs and toasted nuts. Goes well with any accompaniment - beef, pasta, hearty soups, and cheese. Ready to drink but can keep until 2016. Meishar Merlot (2009) - Medium to dark ruby in the glass, aromas of green herbs and lush fruit with a hint of spices. In the mouth the wine opens to layers of red berries and stony minerals. Long finish. Excellent with spicy foods, light meats, spicy cheese and dark chocolate. Ready to drink but can improve until 2018. Meishar Vinyard 730 (2010) - The flagship of Meishar Winery, not made each year. 100% Cabernet Sauvignon, medium to dark garnet in the glass, aromas of toasted spices, characteristic licorice and cedar aromas. In the mouth exceptional spices, red berries, pepper, and wet forest floor. Exceptionally powerful and balanced. Ready to drink now but will definitely mature well until 2020 at least. Meishar “Goliath” (2010) - A unique blend of Shiraz, Cabernet and Merlot, made only in exceptional vintages. Medium body and medium to dark garnet in the glass. Aromas of black berries and smoky toasted spices give way to chocolate and tobacco. In the mouth spices, ripe purple fruit, pepper, rich spicy fruitcake and wet forest floor. Wonderfully balanced. Ready to drink now but will mature well until 2025. It’s Time for a BBQ! We are getting ready to fire up our grill here at Israeli Wine Direct for our Independence Day festivities. Of course, a BBQ wouldn’t be complete for us without the perfect wine list, which we’ve carefully prepared to go along with our delicious food. For this posting, we’re going to talk about the wines that will pair perfectly with the menu for July 4th so get ready for fireworks, a dip in the pool, and of course, the perfect glass of wine! Our first course will naturally be a salad, but we’re taking it to the next level by pairing it with a delicious Sauvignon Blanc from Shvo Winery. This wine is rich in texture with the perfect balance of acidity to complement our salad. For this first course, we’ve chosen Bobby Flay’s Grilled Fennel and Orange Salad with Almonds and Mint. The warmth of the grilled fennel and richness of the almonds will mimic the wine’s smoothness while the orange and mint will bring in the zest with the wine’s acidity. This is an easy and delicious salad, a perfect way to kick off a fantastic BBQ! Our next wine is a unique Chardonnay. Many people shy away from this grape because they dislike the buttery oakiness of the wine. Our Pelter Chardonnay is unoaked and is thus missing all of the aforementioned flavors. What it has is flavors of bright tropical fruits, perfect to offset the smokiness of grilled mushrooms and brine of seafood. We’re pairing this wine with two dishes, Grilled Lobster Paella and Portobellos Stuffed with Corn and Mushrooms. Prepare a hot fire in a charcoal grill. Let burn down to red-hot coals; rake to edge of grill. (For backup, start a second round of coals in a charcoal chimney on pavement nearby.) Put a 16"–18" paella pan on grill grate; heat 1/2 cup olive oil. Add 3/4 lb. Spanish chorizo, sliced into 1/2"-thick rounds, and 6 stalks green garlic, thinly sliced, or 2 finely chopped leeks, white and light-green parts only; cook until golden, 3–4 minutes. Add 1 tablespoon smoked paprika and 2 1/2 cups short-grain rice (such as bomba, Valencia, or calasparra); cook, stirring often, until rice is coated, 2 minutes. Add 1/4 teaspoon saffron threads to 7 cups hot seafood or chicken stock. Add stock to pan and season to taste with kosher salt; stir to distribute ingredients. Let cook, undisturbed, until stock simmers and rice begins to absorb liquid, about 10 minutes. Rotate pan every 2–3 minutes to cook evenly. Arrange 3 1-1 1/4-pound lobsters, halved lengthwise, claws cracked, over the rice. Continue cooking, rotating the pan often, as the rice swells and absorbs the stock. Add more coals from charcoal chimney to maintain even heat under the pan. Cook until the rice is almost tender and the lobster is cooked through, about 10 more minutes. Scatter 2 cups shelled peas or frozen peas, thawed, on top. (If the liquid evaporates before the rice is tender, add more hot stock.) Cook without stirring, allowing rice to absorb all of the liquid, so that a crust (the socarrat) develops on the bottom and the edges begin to dry out and get crusty, 5–10 minutes, for a total cooking time of about 40 minutes. Remove pan from grill. Cover with large clean kitchen towels and let rest for 5 minutes. Garnish with 1/2 cup finely chopped fresh flat-leaf parsley and serve with 3 halved lemons, making sure to scrape some of the socarrat from the bottom of the pan onto each plate. Whisk 1 cup oil, garlic, vinegar, 3 teaspoons thyme, and 2 teaspoons oregano in medium bowl to blend. Season generously with salt and pepper. Transfer 1/3 cup garlic-herb oil to small bowl; reserve. Preheat broiler. Broil Portobello until heated through, about 5 minutes. Sprinkle with 2 teaspoons each thyme and oregano. For our last glass of white (it is summer, after all! ), we’re going back to Shvo vineyards, this time to enjoy their Chenin Blanc. This is a bold white wine, filled with flavors or dried fruit and minerals. This is the kind of wine that should be paired with sweat/savory food. Therefore, we’re pairing this wine with Grilled Halibut, Eggplant, and Baby Bok Choy with Korean Barbecue Sauce and Cranberry BBQ Sauce Turkey Sliders (we know it isn’t Thanksgiving but what is more American than turkey and cranberry sauce?!). Heat 1 tablespoon olive oil in heavy small saucepan over medium heat. Add garlic and chile; sauté until fragrant and light golden, about 3 minutes. Add soy sauce, brown sugar, vinegar, and 3 tablespoons water and bring to boil, stirring until sugar dissolves. Reduce heat to medium and simmer until mixture is reduced to 3/4 cup, about 5 minutes (sauce will be thin). Remove barbecue sauce from heat; whisk in sesame oil. Transfer 1/4 cup barbecue sauce to small bowl and reserve for serving. Prepare barbecue (medium heat). Combine bok choy and eggplant halves in large bowl. Drizzle 2 tablespoons olive oil over and toss to coat. Sprinkle with salt and pepper. Brush fish with remaining 1 tablespoon olive oil; sprinkle with salt and pepper. Grill vegetables and fish until vegetables are tender and slightly charred and fish is just opaque in center, turning occasionally and brushing with sauce, about 10 minutes total for vegetables and 7 minutes total for fish. Transfer vegetables and fish to plates; sprinkle with green onions. Drizzle with reserved sauce and serve. For the sauce: Whisk together the vinegar, mustard, oil, celery, apples, salt and pepper in a large bowl. Set aside while you make the sliders. For the sliders: Heat the oil in a medium saucepan over medium-high heat. Add the shallots and cook until softened, about 5 minutes. Add the garlic and cook until fragrant, about 30 seconds. Stir in the cranberry sauce, ketchup, vinegar, Dijon, Worcestershire, salt and pepper. Bring to a boil, then reduce the heat to low and simmer until the sauce has thickened, about 5 minutes. Turn off the heat and carefully pour the sauce into a food processor or blender and process until smooth. Place the turkey into a large bowl and pour the sauce over the turkey, stirring to coat evenly with the sauce. To serve, spoon a 1/4 cup of the turkey onto the bottom half of the rolls, garnish with 2 tablespoons of the slaw and top with the top half of the roll. Combine the cranberries, maple syrup cinnamon, orange zest and orange juice in a medium saucepan. Bring the mixture to a boil. Lower the heat and simmer for 10 minutes, stirring occasionally with a wooden spoon. Turn the burner off. Using the back of your spoon, lightly mash the cranberries to desired consistency. Chill until ready to serve. Three glasses of wine and plenty of food in, we’re feeling pretty good! Done with the whites, we’re moving on to richer reds, hopefully it’ll be cooler outside! 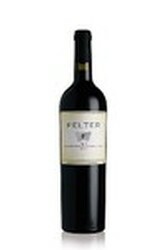 This round is our Pelter Cabernet/Shiraz which tastes of raspberries and cherries with a smooth, long finish. The smoothness of the Cabernet with the pepper of the Shiraz pairs perfectly with juicy lamb, a staple in Mediterranean cuisine. This Minted Lamb Burgers with Feta and Hummus is flavorful and fresh, a great compliment to your wine and BBQ! We’re almost there. One more glass! For this one, we’re going all out and opening a bottle of Margalit Enigma. The Cabernet Sauvignon, Cabernet Franc and Merlot blend is bold and complex and it needs a dish to stand up to it. What better way to off set it than with a juicy steak to round off the meal? And to make it even more delectable, this steak comes with a whiskey (whoever says whiskey and wine don't go together is dead wrong!) butter. YUMM! Make Butter at least 3 hours in advance. Combine butter, shallots soaked in Jack Daniels (or other bourbon or whiskey), parsley, Worcestershire, mustard, whiskey, salt, and pepper. Mix well. On a piece of plastic wrap, drop butter in spoonfuls to form a log. Roll butter in plastic wrap and smooth out to form a round log. Refrigerate until hard and easy to slice into round, coin-shaped pieces. Allow meat to come to room temperature about 15 minutes before grilling. Just before grilling, brush both sides of the steaks with the oil and season with salt and pepper. Place steaks directly over medium-high heat for about 1 to 2 minutes, just long enough to get good grill marks. Turn steaks and sear the other side. Move steaks to indirect heat and continue cooking for about 7 more minutes for medium rare. Remove steaks from the grill, top with a pat of the whiskey butter and allow to rest at least 5 minutes but no longer than 10 before serving. Spread the melted butter all over the tops of the steaks and top each with a fresh slice of the whiskey butter and parsley, if desired. That's it! We've grilled our hearts out and drank wine to our utmost content. Finish off your meal with a bowl of fruit salad or, if you're us, one more glass of your favorite wine! This is the perfect time of year to enjoy a very special kind of wine… Rosé. A typically misunderstood wine, rosé receives heavy flack on account of its “girly” pink color and freakishly sweet soda-like champagne brands like André enjoyed by young twenty-somethings. Despite this, rosé is actually very complex with varying methods and techniques to create the wine. Another common misconception is that rosé is a sweet wine however, it actually has a broad range of flavors. This is the perfect wine to enjoy in summertime either with BBQ, as a cocktail, or by itself as a cooling, refreshing beverage! So read on and find out more about some of the most enjoyable wines out there! The biggest mistake people often make when thinking about rosé wine is that it is actually not made by combining red and white wine. There are actually several ways to produce rosé wines and each produce different colors and intensity in the wine. The most common method is the maceration method, which is when red grapes are crushed and left to sit in their skins. The longer the juice sits, the darker the wine will be. Typically in red wines, maceration happens during the whole fermentation process, however with rosé wine, the fermentation only begins after the skins, called “must”, are strained from the juice. Vin gris, which means “grey wine” in French is a traditional way of making a rosé wine and is when the wine is made from red, typically Pinot Noir, grapes but with white wine making techniques. This results in a rosé that is very clear and with only a tinge of pink, like a pale salmon. This differentiates greatly from the final winemaking technique, called Saignée, which produces some of the best-aging rosés as well as the darkest and most tannic. In this method, a certain amount of juice is extracted, or bled off, from red wine during its fermentation. This is a common practice with most winemakers as it increases the skin to remaining juice ratio in the leftover fermenting wine, producing a richer, bolder red wine. The juice that has been extracted is called “Saignée”, meaning bled, and is fermented into a rosé wine. Blush, pink, rosé, there are many ways to describe this particular kind of wine, which actually ranges all shades of pink, depending on which grape or grapes are blended into the wine. The paler salmon coloring usually comes from Pinot Noir, Carignan and Zinfandel and tastes of mint, grapefruit and strawberries. Deeper pink rosés, made from Merlot, Grenache and Sangiovese taste of sweet cherries, raspberries and blood oranges while the darkest rosés, made from Cabernet or Tempranillo, will taste jammy and of blackberries. Aside from fruit, rosés will also have herbal notes, especially if they are Cabernet Franc, Sauvignon, or Syrah based. So whether you want a sweet white Zinfandel or a savory French-style blend, this wine has every flavor on the spectrum to please every customer! 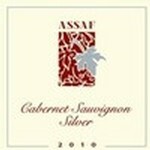 Variety: 70% Cabernet Franc, 20% Mourvèdre, 10% Cabernet Sauvignon. Vinification: The Cabernet Sauvignon and Mourvèdre are extracted by a free-run drain in the saignée method while the Cabernet Franc was gently pressed directly after crushing. Each batch is fermented separately in old barrels. Palate: A unique full bodied Rosé de Barrique. Flower and herb aromas, fresh tart strawberry, apricots, red grapefruit, with a long sweet aftertaste. Good company for an eclectic variety of dishes, and on its own. Serve chilled. Variety: Grenache, Nebbiolo, Sangiovese, Gvartz, Alicante, Rocher Vigonier, Muscat, Petit Verdot. Vinification: The wine is composed of a variety of nine different red & white grapes, handpicked from vineyards in the southern Golan Heights. It was cold fermented in stainless steel tanks. Palate: The wine offers up an aroma of new fruit, followed by a delicious gentle mouth feel. It stays lively and refreshing through the finish. Palate: On the nose, lovely fresh strawberries without a hint of candy. On the palate, gushing with acidity, a bit of prickly pear and lots of ripe red fruits on the mouth. It's not syrupy and feels full bodied but not heavy on the tongue. Enjoy it alone as a summer refresher or with pizza, pasta, veggies and other flavorful dishes. Spring is here and summer is right around the corner! With this nice weather comes a desire to enjoy some of the finer points in life. It’s time to starting opening some nice, cool, refreshing white wines and this posting is going to be all about the different varieties. The most commonly used white grape, Chardonnay is grown all over the world and used in all kinds of wines. It is sometimes blended and is sometimes a single varietal, it is even the main grape in making sparkling wines. Originating in Burgundy, France its growth has become global over the course of the past century and is now a standard grape grown by old and new vineyards alike. The flavor of the grape is very neutral, usually a crisp apple and tropical fruit flavor, and is easily influenced by flavor additions such as terroir or barreling in oak. This means that the grape can be easily blended with bolder ones to create a subtle yet interesting new wine. Chardonnay’s mildness is often altered by the winemaker, who will occasionally manipulate the grape through terroir, or influencing the characteristics of the grape through its surrounding terrain. Techniques such as pruning its extensive leaf canopy ensures that the grape receives the most nutrients and growing many clusters of vines forces the plants to send most of their energy to the grapes, producing greater amount of flavor. People often describe Chardonnay as tasting “buttery” and “oaky”, neither of which are natural distinctions of the grape. In fact, the buttery flavor comes from a particular kind of fermentation called Malolactic fermentation, and is a result of the diacetyl byproduct. Its oaky flavor is the result of barreling the wine in oak barrels prior to bottling. Oak permits some amount of evaporation and oxidization to occur, however not enough to ruin the wine. Instead, it concentrates the flavor of the wine, compounding the aromas and flavors, producing notes of caramel and toffee. The smokiness of the wine comes from charring or “toasting” the inside of the barrel. Many winemakers produce their chardonnays this way, however fermenting and aging in stainless steel tanks, such as those from Chablis, is also popular and produces a livelier, more fruity and citrusy Chardonnay than its oak brethren. A perfect example of an un-oaked wine, left to show off the wine’s rich minerality, summer fruits, kiwis, pineapple and peaches. This is a medium-bodied wine, with well-balanced acidity, showing a generous share of elegance. People who tend to cringe at the buttery flavor of Chardonnay will love this wine and people who prefer the typical oakiness will be surprised to discover the versatility of Chardonnay! The parent of Cabernet Sauvignon, Sauvignon Blanc is the opposite of Chardonnay. While Chardonnay’s grape is mild and the wine is either buttery of fruity, Sauvignon Blanc is dry, grassy with mineral tonalities. Also known as Fumé Blanc, this wine is the Sancerre and Bordeaux response to Burgundy’s Chardonnay. Like Chardonnay, it is grown all over the world and like Chardonnay, the treatment of the wine affects its overall flavor. Leaving the skins with the wine longer during fermentation produces a sharpness to the wine while early removal keeps the wine fruity. Like Chardonnay, it might undergo Malolactic fermentation to make the wine more buttery though in New World winemaking this is usually not done as the intense flavor of the grape is generally preferred. Sauvignon Blanc, though mineral in flavor, is still used to make some of the sweetest dessert wine. Sauternes from the Sauternais region in Bordeaux, France is a delicious, sweet dessert wine made from Sémillon, Sauvignon Blanc and Muscadelle grapes. Typically tasting of honey and peaches, the Sauvignon Blanc grape helps the wine maintain its citrus quality to offset the sweetness. A clear, light golden color, Assaf's Sauvignon Blanc is “soft” and round, a very mellow white wine with an elegant, full taste with a touch of delicate melon, citrus, grapefruit, and pineapple along with the slight “sting” that characterizes the Sauvignon Blanc. Its acidity balances with a lingering, intricate finish. This wine is produced from 100% Sauvignon Blanc grapes. The grapes are handpicked in the Upper Galilee at the Vineyard of the Wind, Merom Golan. It smells and tastes of honeysuckle, lime and tangerine with a long, acidic and dry finish. Another 100% Sauvignon Blanc, this wine is harvested in the early mornings to maximize is sweetness. It is pressed gently and in whole clusters in a traditional Champagne style and fermented using natural, indigenous yeast in tanks and in French oak barrels. It is very aromatic of pears and melons, with surprising volume, rich texture and great natural acidity. This is a white wine with a light golden color, medium body and a firm acidic structure. Its aromas and flavors of lime, lemon peel, guava, exotic spices, kiwi, nectarines, and minerals complement its acidic finish. The Semillon allows the wine to cellar well and develop a special complexity. The quieter, slightly less popular cousin of Sauvignon Blanc, Chenin Blanc is typically light-bodied and somewhat sweeter than the previously described grapes. Harvesting the Chenin Blanc grape is slightly more interactive than other grapes. For example, in the Loire valley, harvesting usually happens over the course of four to six weeks, removing small clusters of grapes from each vine in succession. This technique is known as tries. Other Chenin Blanc specialties include allowing some of the grape clusters to over-ripen and begin to shrivel and rot. This is called noble rot and will make a wine of unique flavors and sweetness. Chenin Blanc has not traveled as far or extensively as Chardonnay and Sauvignon Blanc has. However, it has taken root in South Africa, where it is blended with Semillon and Vigonier to create a wine similar though lighter and slightly sweeter than a Chardonnay. It is also made into sparkling wine or Crémant Loire, making this grape one of the most versatile grapes out there. Assaf Chenin Blanc, a clear wine of a light golden color, mingles the characteristic taste of delicate tropical fruit with the aroma of jasmine. It achieves just the right balance of fresh acidity and fruit flavors. The slow fermentation process preserves this characteristic blend of taste and aroma. This 100% Chenin Blanc hand harvest early in the morning and, like the Shvo Sauvignon Blanc, is pressed gently and in its whole cluster then fermented with natural, indigenous yeast in French oak barrels for 12 months then in tanks for an additional 6 months. This is a unique Chenin with a nose of sour cherry, dried fruit and minerals. It is full bodied and rich with a beautiful balance and nice acidity. Check out all of our wines HERE!!!! We’re back! It’s been a while since our last blog posting and we’ve missed you all! To kick off our new, revamped blog, we decided to bring you examples of our different kind of wines. Each week, we will highlight a different varietal, explaining the aromas and flavors of each grape. We will discuss the appellation, oenology and viticulture, the growing and harvesting, as well as the individual vintners. This week, we’re bringing to you our Cabernet Sauvignon wines. It is one of the most recognized and frequently used grapes and is grown all over the world from established European winemakers to New World explorers. To start off, here’s a bit of history about the Cabernet grape. Despite its popularity, Cabernet Sauvignon is a relatively recent grape, the first production of it being in the 17th century in the southwest France, when winemakers crossbred the Cabernet Franc grape with that of the Sauvignon Blanc. The result was a hardy grape, able to withstand harsh temperatures and grow at many different elevations, has thick skin and produces a high yield with the proper vine-trimming and maintenance. No matter where you grow the Cabernet grape, be it at high or low altitude, limestone gravel or rich terra rossa soil, the wine consistently maintains a distinct “Cabernet” quality of full-body, high tannins, and an apparent acidity. The notes of the wine may vary depending on the temperature of the region. In cooler regions, the wine will taste of blackberries, mint, and cedar, sometimes even vegetable-y. In warmer climates, the wine will become denser, more fruity or “jammy”. All of these qualities are found in our wineries, which range from the cool, mountainous regions of the north to the arid desert of the south. This wine is unfiltered or “unfined”, meaning it maintains the cloudy appearance typically filtered out to create a clear color consumers tend to prefer. Filtering is also done to remove unstable tannins, which may undesirably alter the flavor of the wine with time. However, wine such as this are becoming more popular as they are considered more “natural”. It has a deep, dark burgundy color with a lush, complex taste of black cherries, forest berries, tobacco, eucalyptus, and a hint of mint. Its slight acidity is balanced with a rich, long-lasting, pleasant aftertaste. The wine is aged for 18 months in oak barrels and bottled, like the Silver, without undergoing filtration. 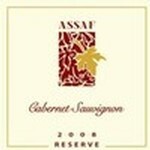 Assaf's leading brand is a blend of two varieties of grape grown in two different vineyards. Vineyard Gimel brings the scent of eucalyptus and berries. Vineyard Bet, provides a delicate infusion of aromatic spices. The Cabernet Sauvignon Reserve mingles the characteristic hints of blackberry, cherry, and eucalyptus with subtle overtones of mint and berries. At the Kitron winery all stays in the family. 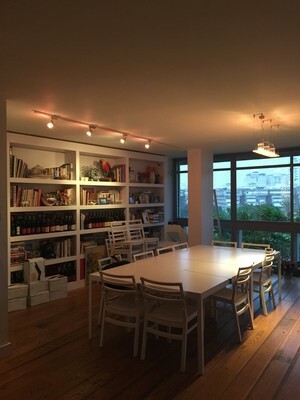 Meir Biton and his wife and 8 children run all aspects of the business. The winery is in transition, with a new gravitational winery being built in the Lower Galilee. A gravitational winery uses gravity-flow, a system where pumps and conveyors in transporting the grapes into the fermentation tank is replaced by constructing a multilevel facility, typically on a hill, that allow the grapes to flow naturally downward with platforms at each step for crushing, fermentation, barreling then bottling. This is a gentler and some say, purer way of winemaking. This powerful but well balanced wine is characterized by dark berries and smoked vanilla aromas. The palate is round and flattering with hints of jam and mocha. 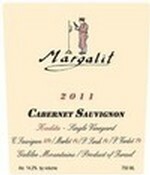 After many years of experimentation in quality wine making using various varieties, and distributing the wines amongst friends, Margalit Winery was launched in 1991 with its first Cabernet Sauvignon (1989 vintage). 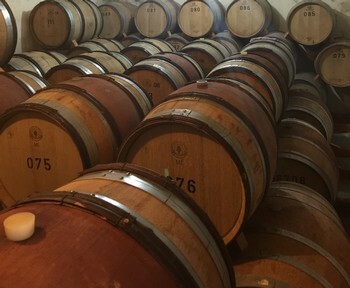 The public interest in the new winery grew quickly in the next few years, probably because of two reasons: it was the first boutique winery in Israel and secondly, because of the wine’s quality and uniqueness. Initially, the winery was established in a small village near the town of Rehovot. In 1994 the winery moved to its current location not far from the Mediterranean shore, midway between Tel Aviv and Haifa. The production grew gradually from 80 cases in 1989 vintage, to the current annual production of about 1,600 cases. A portion of the wine produced, is sold at the winery directly to private customers in three weekends during March/April each year. The customers are invited to taste and buy the new release. The rest of the wine is distributed to fine restaurants and wine shops in Israel and abroad. This wine has a deep garnet toward inky black remarkably concentrated and intense, still firmly tannic but with fine balance and structure yet still offers a generous mouthful of currant, cherry, blackberry and plums. It is big, broad and intense but is yielding on the palate to show grace and elegance and closes with a hint of espresso coffee for a super long finish. Named by Israeli food & wine critic Daniel Rogov as one of the best Israeli wines he tasted! The flagship of Meishar Winery, not made each year. 100% Cabernet Sauvignon, medium to dark garnet in the glass, aromas of toasted spices, characteristic licorice and cedar aromas. In the mouth exceptional spices, red berries, pepper, and wet forest floor. Exceptionally powerful and balanced. Ready to drink now but will definitely mature well until 2020 at least. Pelter Winery, situated in the Golan Heights of northern Israel, was established by Tal Pelter in 2005. In 2001, Tal returned from oenology studies in Western Australia where he was influenced by the local approach to winemaking and the Australian character of the wines. Wine is part of the fabric of everyday life in Australia - an affordable and accessible source of enjoyment. Tal wanted to introduce this approach to the Israeli market as well as to create high quality, premium wines. The Golan Region is characterized by: cold dry climate, day/night temperature differentials, basalt soil, high altitude, and high levels of sun radiation. Together these factors create slow, long ripening, a variety of taste depths and high quality grapes. These advantages were enhanced by the open spaces so rare in Israel, and the Golan Heights was selected as the ideal location for both the business and the family. All stages of production are handled by members of the family – from selection of grapes, barrels and blends, to bottling, marketing and distribution. These collaborative efforts produced some 80,000 bottles in 2008, while preserving the winery’s rustic, intimate character. The grapes were harvested from the Vineyard of the Wind, Merom Golan. The wine matured for 20 months in French Oak barrels. Characterized by tastes of wild blackberries and a touch of chocolate and mint. A long and rich finish. 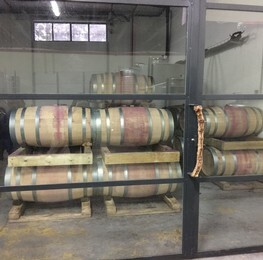 The winery was established in 2003, is located in the Upper Galilee in Moshav Ramot Naftaly from which it derives its name and produces about 10,000 bottles per year and plan to grow. The wines are kosher since the 2009 vintage. Yitzhak Cohen is a very proud winemaker who started as a farmer and administrator of agriculture cooperatives of the region to winemaking by experimenting and learning winemaking in Israel. 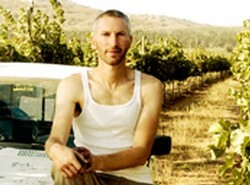 His excellent skills and high quality wine is an evidence to the high level winemaking knowhow advanced in Israel today. Yitzhak’s dream is to see the Kedesh Valley turn into the most important Appellation of the Israeli wine industry. The winery’s vineyards are situated in Kedesh Valley, between Moshav Ramot Naftaly and Moshav Dishon. The vineyards are located at the southern edge of Kedesh Valley, an area surrounded by a high mountainous range that serves as protection from the wind. The rows of vines are planted in deep Terra Rosa soil on moderate slopes, and enjoy the natural drainage, the morning mist and the soft sunrays even in the hottest months of summer. The unique location of the vineyard is highly beneficial in the wine-making process. The rich and fertile soil and special climate conditions of the Kedesh Valley give the grapes their color, flavor that transfer their characteristics to this rich flavor and bouquet wine. Aged in French oak barrels for 12 months. The wine is a clear-pale Bordeaux with a full aroma of red and purple fruit as well as some greenery. This wine is full-bodied and rounded, with soft tanins complete with ripe, juicy black fruit with a layer of sweet spices on the finish. To buy any of these wines, click here! Tulip Winery is set in the Northern part of Israel, in between the ancient port city of Haifa and Nazareth. 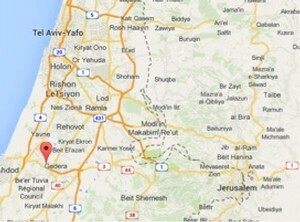 The winery itself is located in a spot call Kfar Tikva, which is Hebrew for the Village of Hope. I recall my first visit to Tulip Winery. The team had been up much of the night harvesting and as I arrived early in the morning, they were just returning to the winery to eat and rest and discuss. There are a few things about Tulip immediately striking. 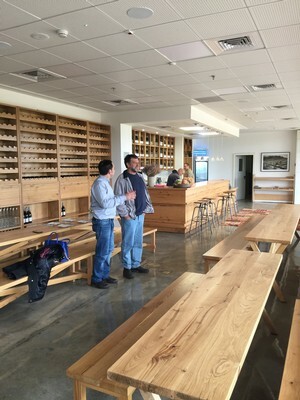 To start, a few of the members of the Village -- adults with significant developmental disabilities -- are completely integrated into the winery staff. It's not a marketing gimmick. And it's not a facade. They are full parts of the team. 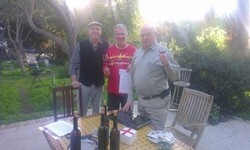 The winery owners are known throughout Israel for their special interest in adults with disabilities. In fact, they even held a contest with disabled adults all across Israel to design the label for their flagship wine! In addition to their inspiring philosophies, this young energetic team, led by Roy Itzhaki and Tamir Artzy, make some very fine wines. This week we are highlighting their Tulip Syrah Reserve 2007. This is a wine that walks up and introduces itself, full of the same spice and warmth that's inside the winemaking team. This is a very fruit forward wine boasting aromas and flavors of red berry fruit and oak. It has a soft texture with pure and concentrated fruit flavors on the palate. Nicely balanced, it reveals excellent structure, polished tannins and a persistent finish. You can ORDER THIS WINE here.